Being a technology geek I love to try out new tech services, programs, and hardware. If you’re lucky or happen to know the right people you can get into some very cool beta programs. The big companies also offer public programs for different projects they are working on. Google Labs is definitely a geek favorite, and even Microsoft offers some cool stuff to test out through Live, Office, and Virtual labs. 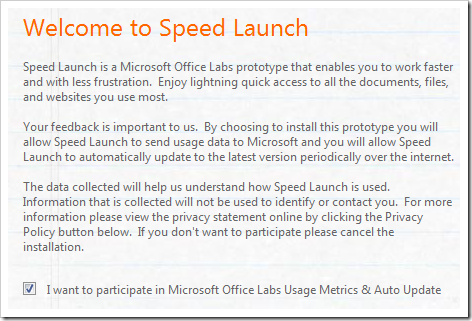 Today we will look at a cool program from Microsoft Office Labs called Speed Launch. This is basically their own version of an application launcher such as Launchy. Because this is an Office Labs beta project you will have to agree to participate in Microsoft’s Usage Metrics & Auto Update. If you choose not to participate you will be advised that installation cannot continue. After agreeing to Microsoft’s participation program and EULA, installation is quick and easy and you’re ready to begin. Using Speed Launch is quite simple. Just drag over an program application’s shortcut to the bullseye and a window will pop up for you to create a name for it and add it. To launch the bar just use “Windows+C” key combination. Here is where to access your created shortcuts or test out some that are included. Included features are MSN Money, MegaSearch, Wikipedia Search, Image and Movie Search. Click on MegaSearch and you will be prompted to type in what you’re searching for, then your default browser will pop up with search results from Google, Yahoo, and Live Search. 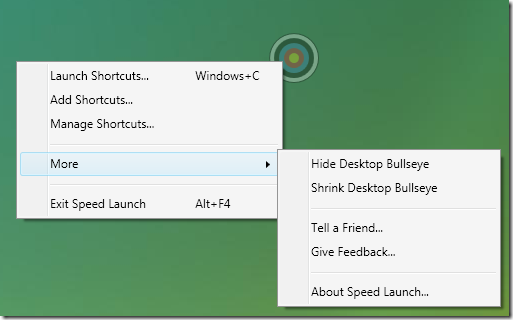 Right click the bullseye to get more options and settings for Speed Launch. One of the functions is to manage your shortcuts. Here we can add or delete shortcuts or customize current ones. For example here you see that by default MegaSearch opens up three major search engines. You can change these to whatever you want which works best for you. There are actually some cool customizations you can do with Speed Launch. For this example I am going to make a custom search for video’s on You Tube. I go to youtube.com and enter in a search in this example I use John Petrucci, on of my favorite guitarists, but you can enter in whatever you want. 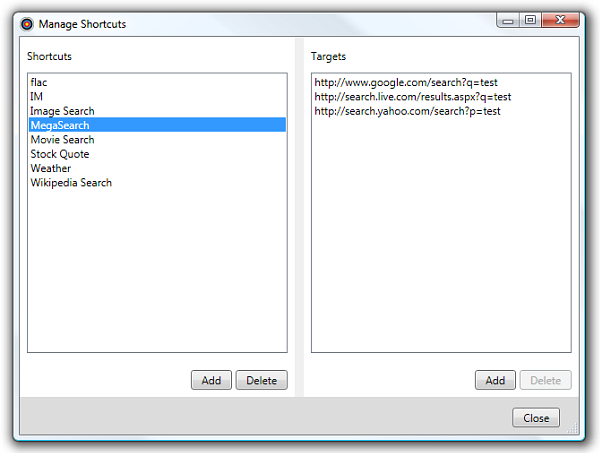 Now take the search results page and drag that to the Speed Launch target and end the shortcut name with a dot. Next, you are asked to use a memorable name then highlight the area of the search to exclude in the future, which in this case is “John+Petrucci” and hit finish. Now I have my custom search function where I can enter in anything I want into the search area and youtube.com will automatically open with my search results. 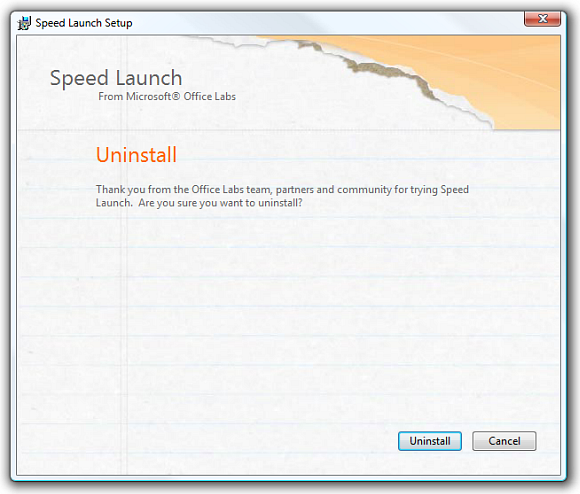 Speed Launch does not include an uninstaller and you will not find it in Add / Remove Programs. To uninstall you just need to run .msi installer again to get the uninstall option. 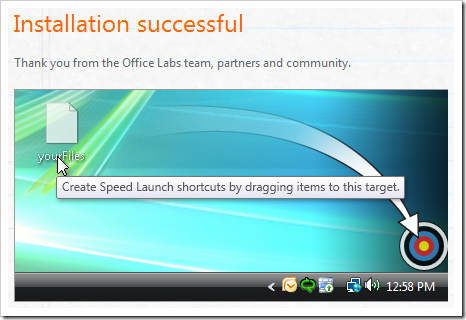 Speed Launch is a pretty cool application which allows faster and more convenient productivity in Windows. You are able to easily access your bookmarks with this utility as well. So far there is some personal configuration available, more functions may be added as the project grows. If you like testing out new software and working with dev teams, or just want faster productivity you might want to try it out.